Whether you are working on a new cutting edge app or simply ramping up on new technology, Java documentation has all the information you need to make your project a smashing success. Use the rich set of code samples, tutorials, developer guides, API documentation, and more to quickly develop your prototype and scale it up to a real world application. Java SE lets you develop and deploy Java applications on desktops and servers. Java SE and component technologies offer the rich user interface, performance, versatility, portability, and security that today&apos;s applications require. Java SE related products enable you to monitor, profile, track usage, and centrally manage Java-based applications. Java ME Embedded is designed for resource-constrained devices like wireless modules for M2M, industrial control, smart-grid infrastructure, environmental sensors and tracking, and more. Oracle Java SE Embedded delivers a secure, optimized runtime environment ideal for network-based devices. Java Card technology provides a secure environment for applications that run on smart cards and other devices with very limited memory and processing capabilities. 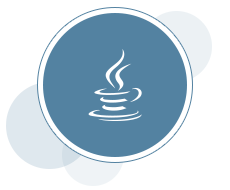 Java EE provides an API and runtime environment for developing and running large, multi-tiered, reliable, and secure enterprise applications that are portable and scalable and that integrate easily with legacy applications and data.